Bell’s Palsy is a sudden onset condition affecting the facial nerves. 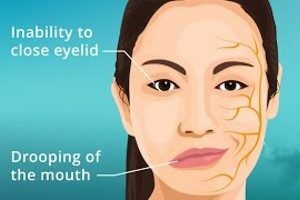 It can cause weakness or total paralysis to one side of the face. It’s important to see your GP soon after the symptoms appear, as the drug therapy works best when taken early. Acupuncture is useful as a support to conventional drug treatment. Acupuncture can be used alongside convectional drug therapy to help to reduce the symptoms of the condition and to speed up recovery. Your acupuncturist will treat the area using local channel points on the face. This can help to stimulate the local nerves, reduce inflammation and promote the flow of blood in the facial muscles. Your acupuncturist will also assess whether you have underlying weaknesses, which would also be addressed as part of the treatment plan.